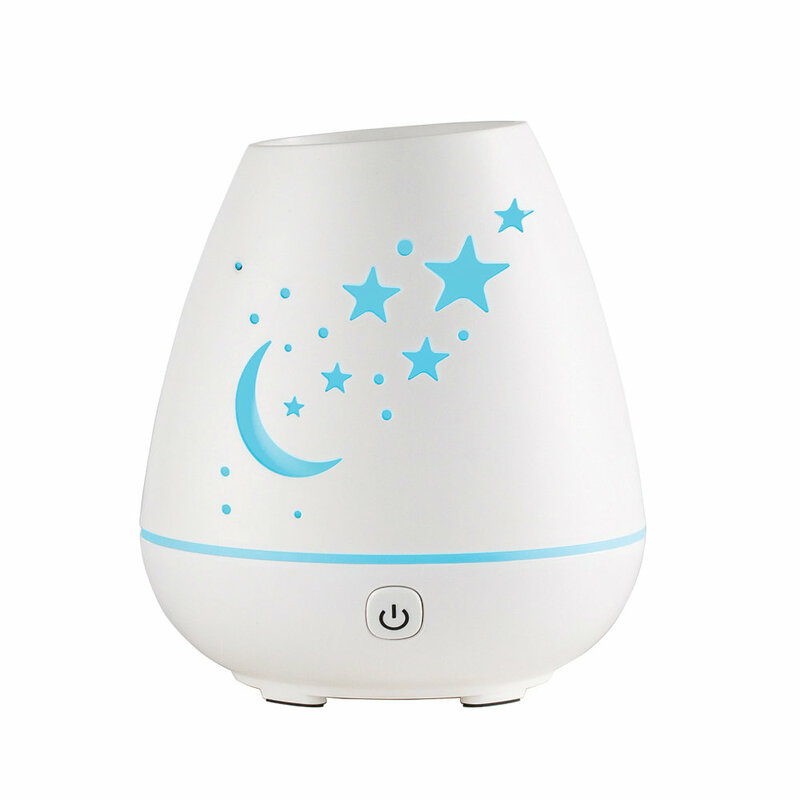 Moon and stars come alive with a rotation of color with the Celeste Essential Oil Diffuser. The light show compliments healthy benefits from a streaming mist of fragrant essential oil. Gaze into the constellation and enjoy all the features within 100 square feet. Plug in, uses USB for total portability. Shapes of evening skies projected through a brilliant white matte finished body.